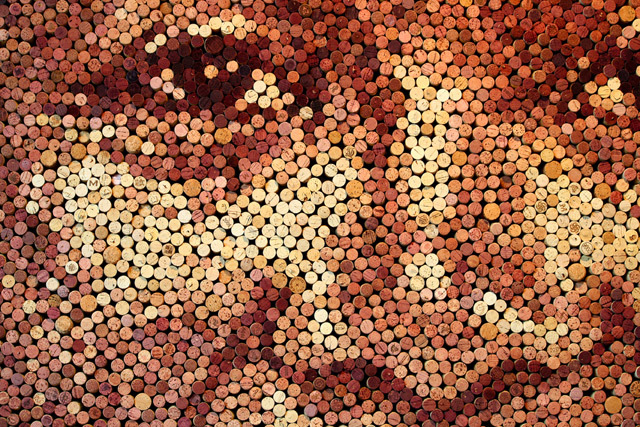 Scott Gundersen have found a new way how to recycle old wine corks and make an astonishing artworks. 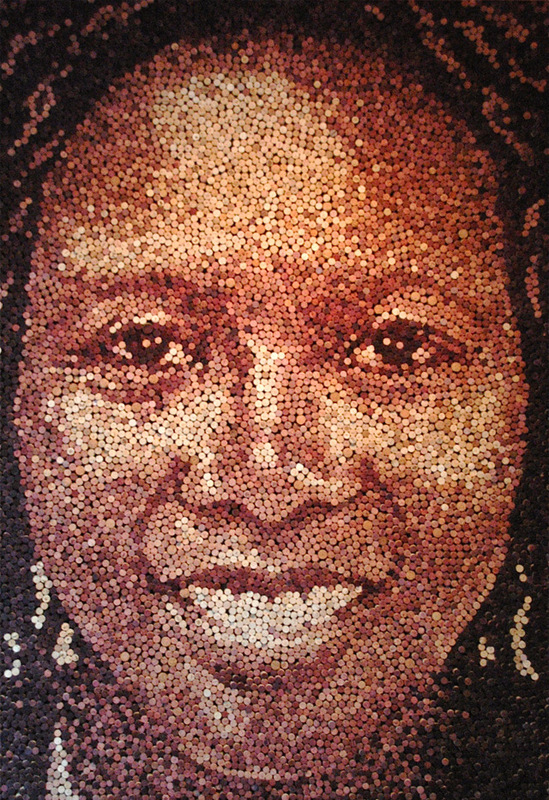 The illustrator and artist from Chicago creates portraits from thousands of used and recycled corks. 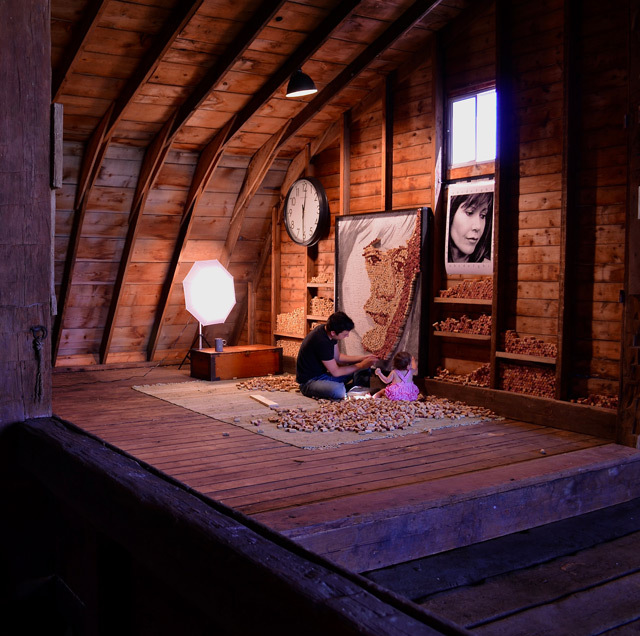 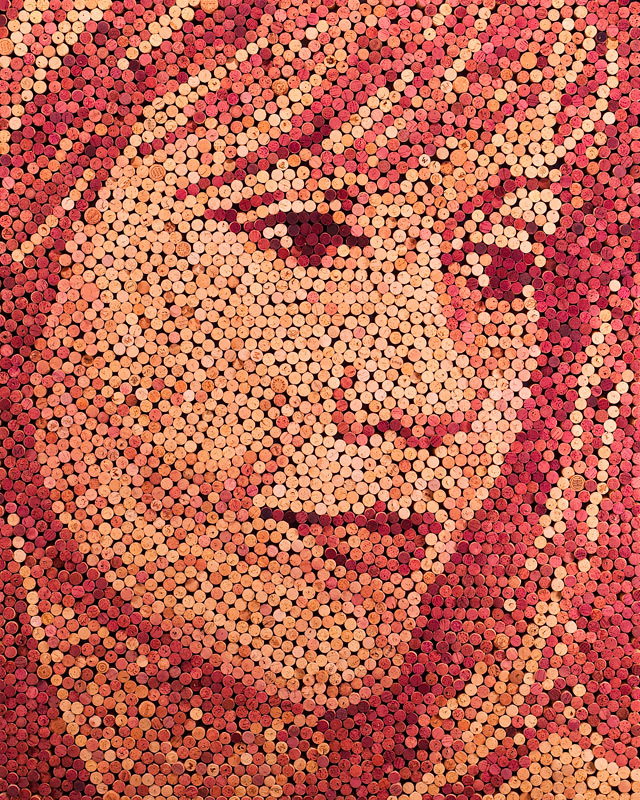 After transferring the portrait from a photograph by drawing on the canvas, the artist meticulously pins thousands of corks one after another, playing with the hues in wine stains to reveal the shadows in the portrait. 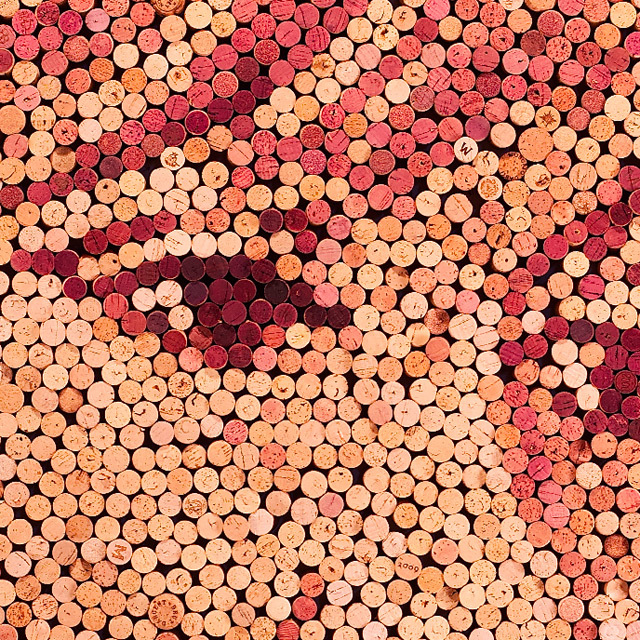 He has made these incredible portraits, one using 9,217 and the other using 3,621 natural wine corks over the course of more than 200 hours! 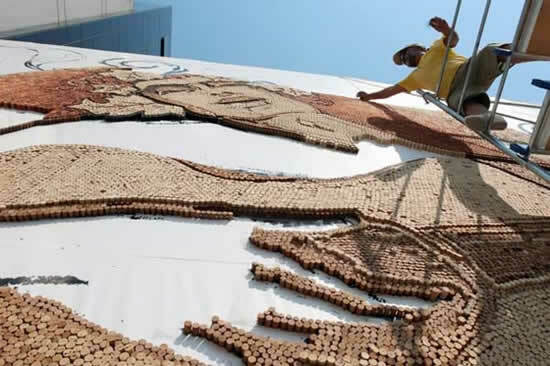 Albanian artist Saimir Strati has entered the Guinness Book of records for creating the world’s largest mosaic made from corks. 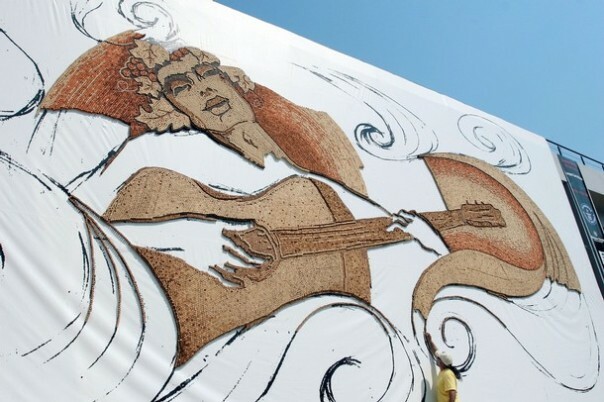 He glued 229 764 corks of various shapes and colors onto a plastic banner measuring 12.94 meters by 7.1 meters. 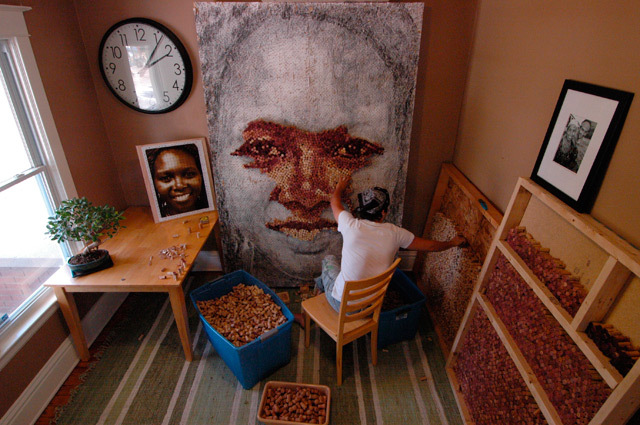 The artist worked 14 hours every day over a period of 28 days to create his gorgeous artwork. 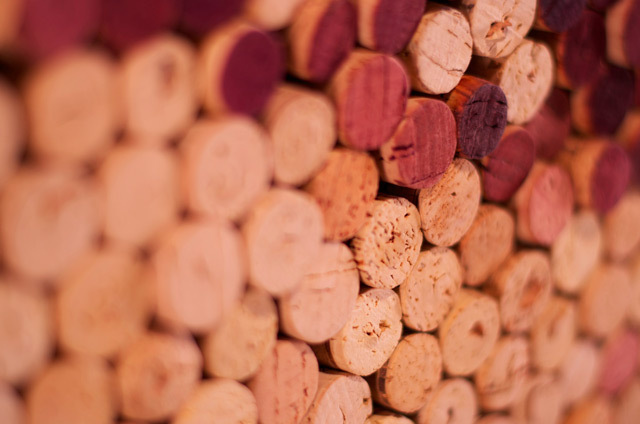 I was especially inspired when I first visited the ruins of the ancient town of Apollonia. 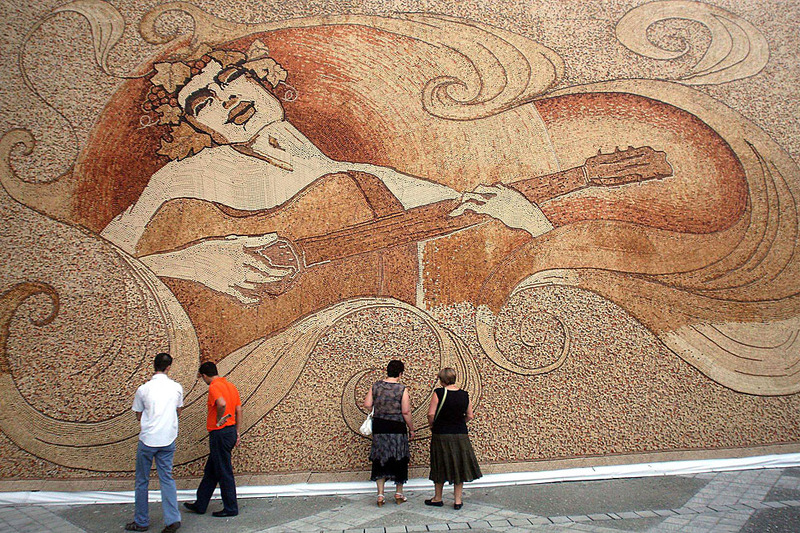 There I saw leftovers of antique mosaics. 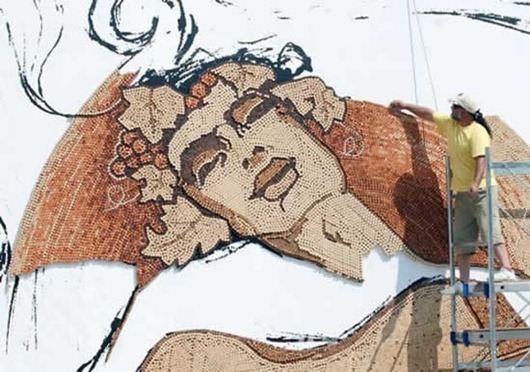 I find it really fascinating that some buildings only last about one hundred years, while some mosaics can resist time for more than 3000 years. 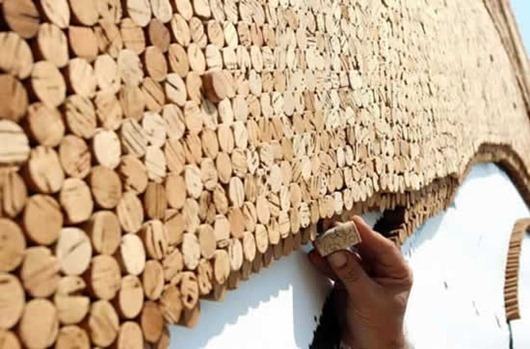 They are just like skeletons of dinosaurs.